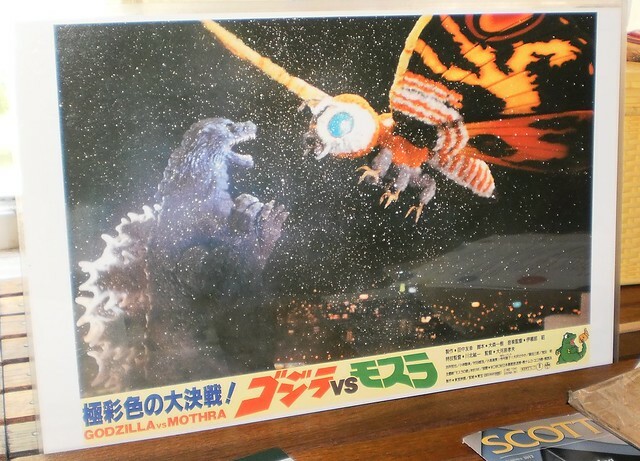 This is a reproduction of the movie poster for Godzilla vs Mothra, one of the campiest movies you'll ever see. I need something more to hang on my wall like I need bubonic plague but it's Godzilla! The original, man in the rubber suit Godzilla. This is, actually, two action figures. The vendor had a whole bunch of Godzilla posters. It was very hard to pick out which one to bring home. They had a sale, 3 for $30 or one for $12. They had bunches and bunches of posters. 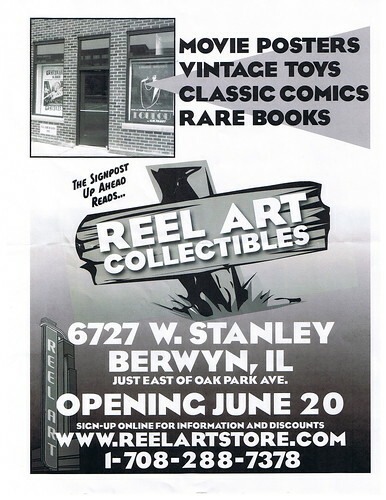 I looked through their offerings and, had I the wall space, a jazz and a Broadway advertisement would have come home with me, too. "Brigadoon" and Duke Ellington. But I have no space for Godzilla let alone the other two. Still, I will find a place for this, simply because it's Godzilla. This is the vendor who was selling these posters. I will have to check them out later this summer, when I have a bit of coinage.